We’re thrilled to announce that, at long last, a brand-new issue of Lantern Review is now live! Issue 7.1, featuring poems by Allison Albino, Jason Bayani, Shamala Gallagher, Preeti Kaur Rajpal, Dujie Tahat, and Annabelle Y. Tseng, and artwork by Sudarsana Mohanty and Leah Oates, is themed around the notion of “transmission” and marks a shift in our publication format: rather than put out one longer issue a year, we’ve instead decided to begin splitting each season’s worth of published work into a series of three slimmer micro-issues, each of which will allow us to explore particular thematic, historical, formal, and/or demographic connections in a more focused manner than before. Issue 7.1, brimming with stunning works that echo with ghostly utterances in their explorations of trauma, prayer, language, family histories, and imagined futures, marks the first of three such themed micro-issues that we’ve planned for our 2019 season. Additionally, the internet—and the world of online literary publishing—has evolved significantly since we last put out an issue, so for the magazine’s grand return, we’ve also decided to give it a visual facelift. In previous issues, we employed a non-scrolling layout that was intended to visually mimic the traditional two-page spread of a print magazine. In this next generation of the magazine, we’ve taken a step back from that approach. Instead, we’re celebrating the beautifully adaptable space of the browser window or mobile device screen as a visual medium unto itself. This allows us to treat each page of the issue as if it were a digital broadside, overlaying text and image and playing with layers of typography. In issue 7.1, you’ll see, among other innovations, Dujie Tahat’s haunting “when i say wolf” partially overlaid onto the translucent, ghostly imagery of artist Leah Oates, while the increased width of our page size gives Preeti Kaur Rajpal’s “speak sinking liver” room to breathe as it stretches and contracts across the white space of the screen. Though five years have passed since we last read work and prepared an issue for publication, we are so encouraged to see the continuing strength and complexity of the work that is being put out by APA poets in the present moment. 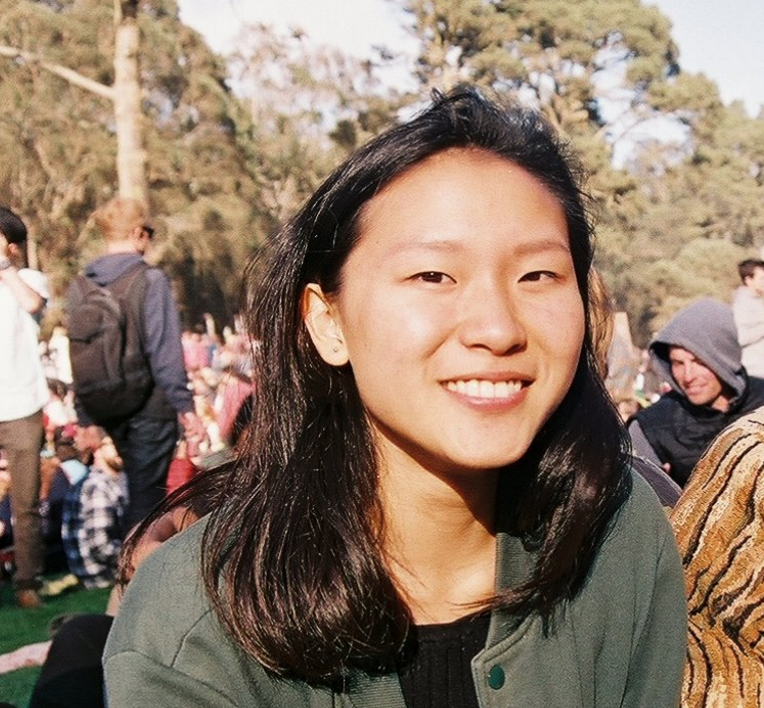 From Jason Bayani, an established poet with a touring show and two collections to his name, to Annabelle Y. Tseng, an undergraduate student at Princeton University, the accomplished contributors represented in Issue 7.1 exemplify the depth and diversity of contemporary APA poetry, and we could not be more proud to get to share their work with you. To enter the issue, click here or on the cover image at the top of this post. We’d love to hear what you think, so leave us a comment here or reach out to us on Instagram, Twitter, or Facebook to let us know. As ever, we’re grateful to our stellar editorial intern Irene Hsu for her invaluable contributions at every stage of putting this issue together, to our gracious and understanding contributors—both for the gift of their work and for waiting patiently for us to work through a myriad of bugs before we finalized the new layout—and to you, our amazing LR community, for your steadfast support. We can truthfully say that without your urging and encouragement, the magazine’s return may never have happened. A very happy first week of March to you, and endless thanks once again. 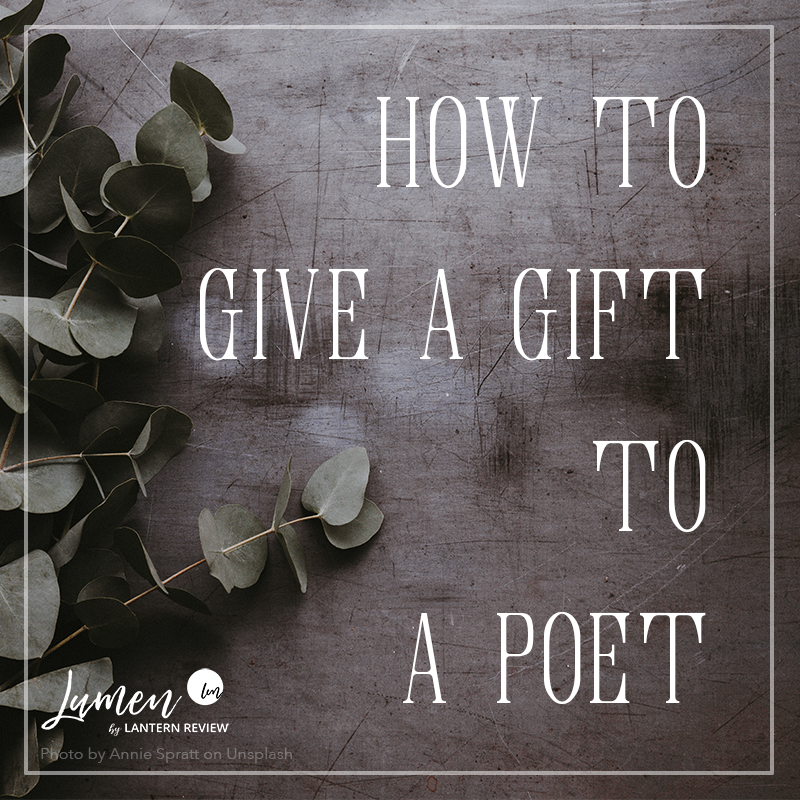 It’s late in the season, but if you still have a poet friend for whom you want to find a last-minute present this year, you might be wondering what to give them. 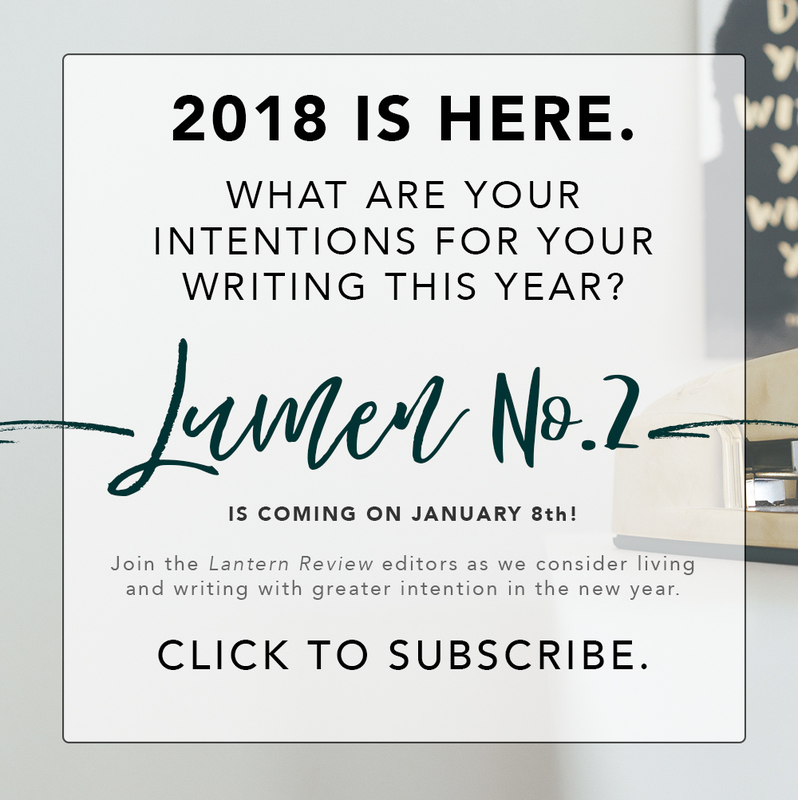 Whether you’re shopping for a poet or you are a poet whose loved ones occasionally ask you for gift ideas, we hope this issue of Lumen will help provide some inspiration. And if you’re still not subscribed yet—you still have four more days to do so before the newsletter drops! Just click here to sign up. We hope you have a happy and healthy end of 2018. Cheers to the end of yet another year of fantastic Asian American poetry, and here’s to a new year full of still more brilliance—ever more light—in 2019! 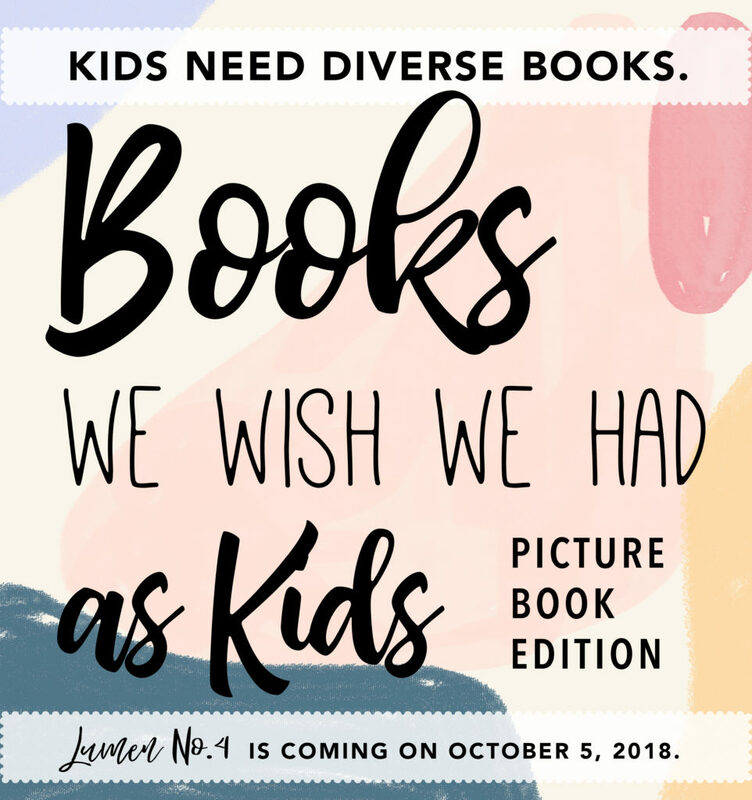 We’re Taking Submissions Again! Here’s Why You Should Send Us Your Work. Happy Monday, Lantern Review community! This morning, we’re coming at you with a huge piece of news: as of today, we’re officially knocking the dust off the magazine and are finally (yes, finally!) opening our doors to submissions for our 2019 season. We can’t tell you how good it feels to be able to announce this; it’s our first open reading period in a really long time. Well, we’ve been listening. And we hear you. So today, we’re thrilled to be taking that first step toward bringing the magazine back. I think we can all agree that it’s about time. Here are the logistical details. Our fall 2018 reading period officially opens today and will run until November 30, 2018. As in the past, we are looking for original poetry and new translations in a wide variety of voices and styles. And we are also eager to receive submissions of visual art and photography. To get a feel for the type of work we like, we suggest that you take a look at our archives—especially our most recent two issues (issue five and issue six). One more important detail: In the past, we solely accepted submissions through our own, proprietary portal; however, in keeping with current digital practices in the literary world, we’ve decided to adopt Submittable as our new submissions platform going forward. The “Submit” links on our main site and blog will now take you to our Submittable page, where you can find both our guidelines and forms with which to submit your poetry, translations, and artwork. For the first time ever, you’ll also be able to better track your manuscript through our screening process—and we can now even accept multiple files at once for art submissions. We don’t like the idea of missing out on exciting new poetry and artwork just because of a submission fee, so you won’t have to pay to send us your work. Submitting to the magazine during our open reading period is completely free. Reason #2: We love featuring newer voices alongside more established ones. We’ve been blessed to have our pages graced by the likes of literary powerhouses like Oliver de la Paz, Amy Uyematsu, Luisa Igloria, Barbara Jane Reyes (among others!) in the past. But we’ve also enjoyed getting to publish emerging writers’ work—Ocean Vuong, for example, is highly successful today, but when we first published his work, he was still several years away from his first full-length collection. All this to say: We love getting to help our readership discover (and, hopefully, fall in love with) newer voices as well as more established ones. We’re conscious of trying to remain an accessible platform for writers with strong poetic voices at every stage of their careers. Reason #3: We care about design and accessibility. The visual impact of a poem matters to us. As does the user’s experience of navigating through it online. We love to work with our contributors to ensure that even pieces that float words across white space in complex formations are laid out in a way that honors the poet’s original vision. We don’t just throw the text of your poem into a preset blog template—we hand code each issue to ensure as much consistency among our readers’ experiences as possible, regardless of what browser or device they may be using. Furthermore, as we code, we keep in mind the fact that some of our audience may be using voice readers—and for future issues, we hope to be able to improve upon this further to create an even more accessible reading experience for all. Intrigued? Head on over to our new Submittable page and send us your best. 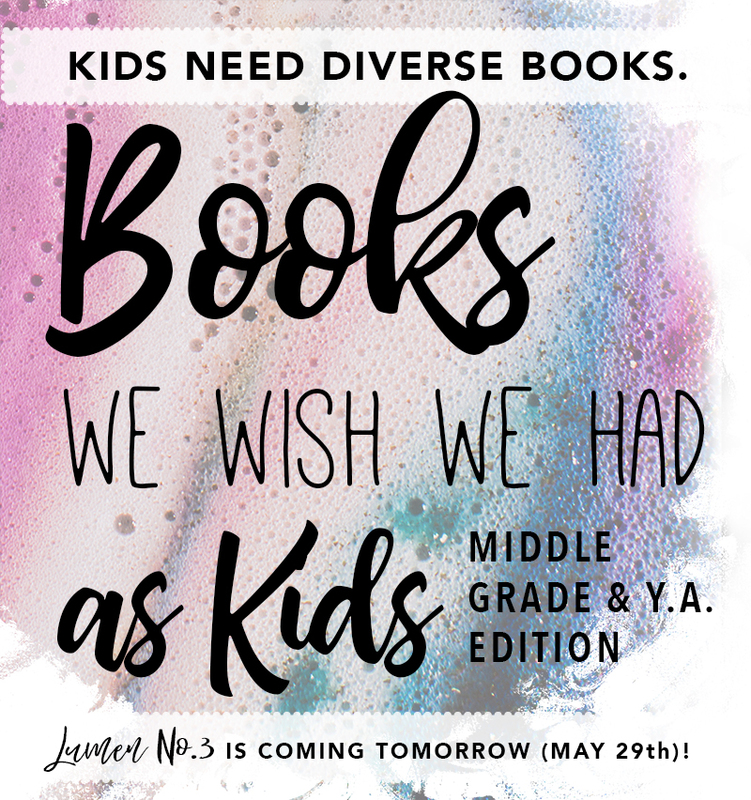 We can’t wait to read your work! Hello, LR community! It’s great to be back from DC. The Smithsonian APAC’s Asian American Literature Festival two weekends ago was a truly amazing experience, beautifully tying together multiple literary generations, styles, and sub-communities (from spoken word to critical scholarship) in the best way possible. We loved getting to catch up with old friends and had lots of fun meeting new faces in the literary lounge, where we were overwhelmed by your outpouring of support and enthusiasm. Thank you for making us feel so welcome! As promised, we have some exciting news to share today. 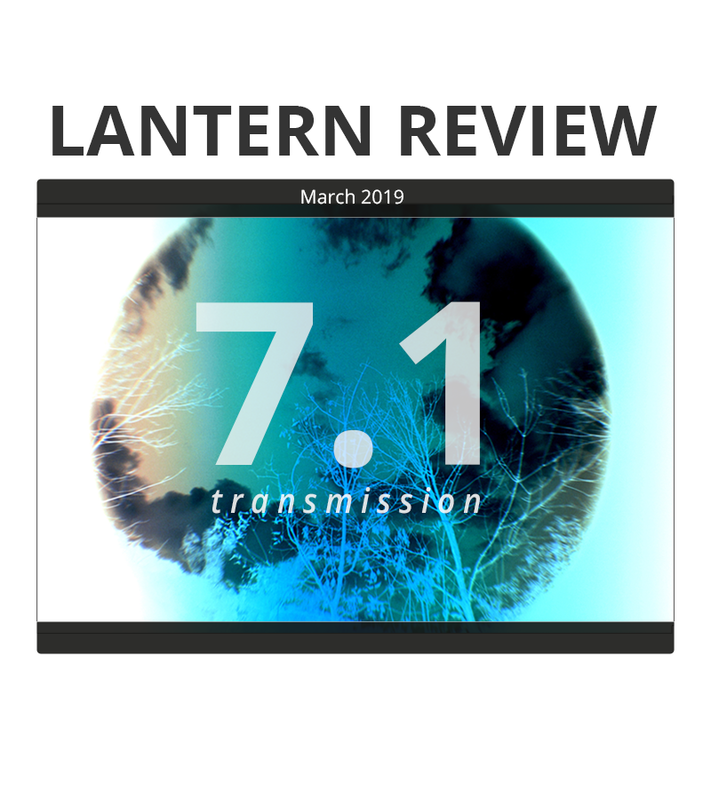 As announced at the festival, Lantern Review is getting a newsletter! There have been a lot of changes for us at LR these last few years, and we’ve been searching for a way to bring both more sustainability and more intimacy to what we do. The blog and the magazine are wonderful, but they require a lot of lead time due to the editorial process, and we’re not always able to deliver content to you with the sort of immediacy we’d like. Hence, we’ve created Lumen, a smaller-scale extension of LR that is sent right to your email inbox. Lumen is not just your standard newsletter. As a subscriber, you’ll get more than just updates; you’ll have access to exclusive content, including writing prompts, meditations on craft and writing practice, teaching ideas, tips on publishing, reading recommendations, and more. We’d like to envision Lumen as a living-room chat between friends, a catch-up over an afternoon cup of tea or coffee. You can think of it as the blog’s little sister, with the type of content that we have always provided, but with a more intimate format and feel. So what does this mean for LR? Certainly, neither the blog nor the magazine is going away anytime soon. But the distribution of our editorial energy will be shifting a little. You’ll continue to see news and occasional full-length posts on the blog, but whereas we were very focused on the blog in the past, we now want to pour more of our energies into the magazine itself, so we’ll be concentrating on putting out more of our supplementary content via Lumen in the hopes of building toward a next issue sometime in the near future. Because we’re still experimenting with this new format, Lumen will come out quarterly for now, but if we feel that there is enough momentum to produce more installments, we may decide to increase the frequency of publication. 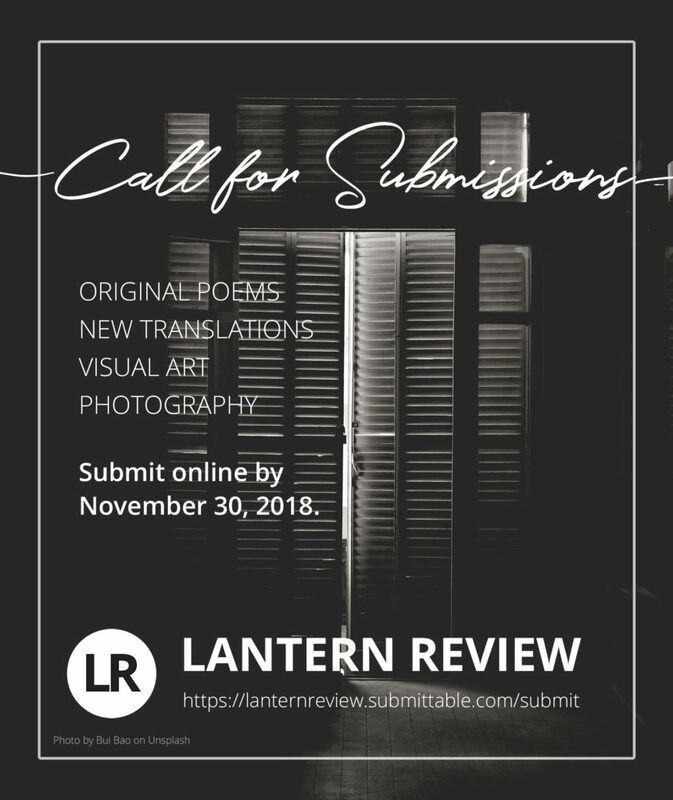 If you came by our table at the AALF, you should already be subscribed (if you haven’t received a welcome email yet, please check your spam or updates folders, or email us at editors [at] lanternreview [dot] com). And if not, getting linked up with Lumen couldn’t be easier. Simply fill out the form below, and you’ll receive a confirmation email in your inbox. Once you’ve confirmed your subscription, you’re all set! 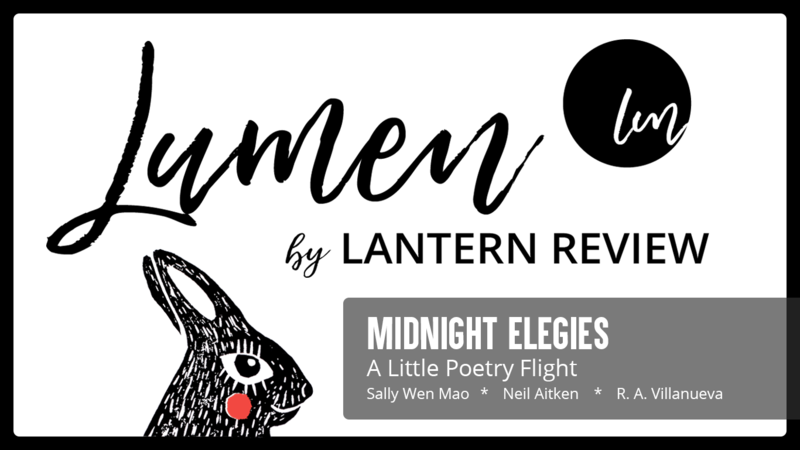 As a little thank-you gift for signing up, you’ll get access to a digital Little Poetry Flight created exclusively for Lumen subscribers, featuring work from Sally Wen Mao, Neil Aitken, and R. A. Villanueva. (Please note that even if you were receiving emails from us before as a contributor, you’ll need to sign up for Lumen directly, as it is an entirely different list). We’re so very grateful for all of your continued support and are excited to build LR out in new directions through Lumen and more. We hope you’ll come along with us for the ride! Form not working? Try this link instead.